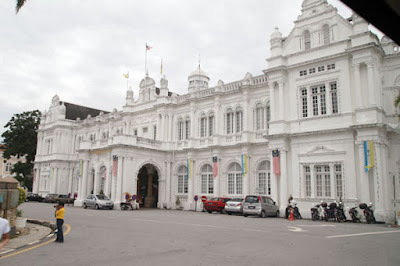 To be honest, Georgetown is the most interesting place to visit in Penang, as seen on the website and brochure. And that's why we bought the Air Asia ticket to Penang in the first place. But on our first trial to Georgetown, we got lost! 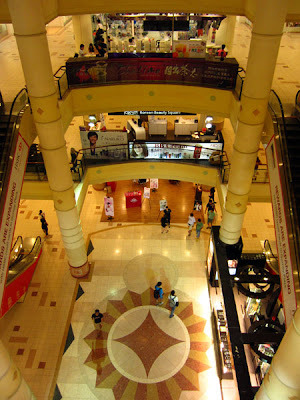 The Gurney Plaza is a small shopping mall compares to those in Jakarta. 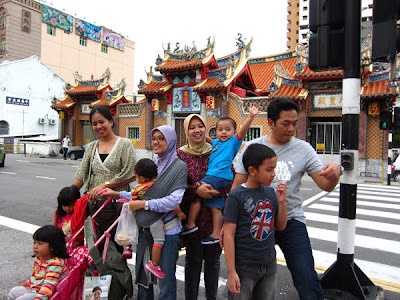 The most famous thing about the Gurney is the Gurney drive, a hawker center where you can find all Penang's food. So did we eat there? Nope, we ate at the foodcourt at the shopping mall! hahaa..we just want to eat at a comfy place for our children. 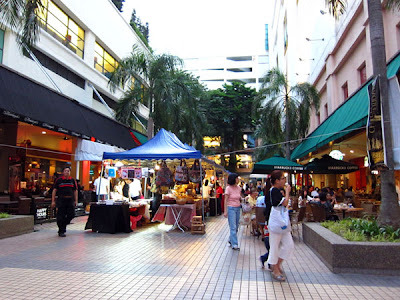 Actually there is also what so called Gurney Place, a mall with so many cafes and resto, just beside the Gurney Plaza. 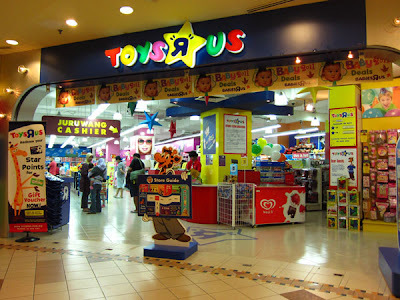 But we decided to just stay at the Gurney Plaza. 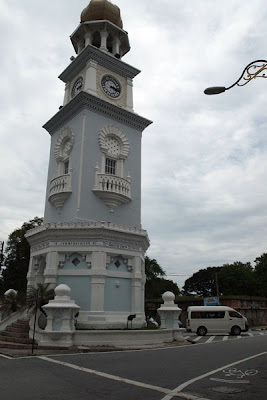 After our dinner, we went back to the hotel, taking a taxi with a fixed rate to Batu Feringi cost RM 28. 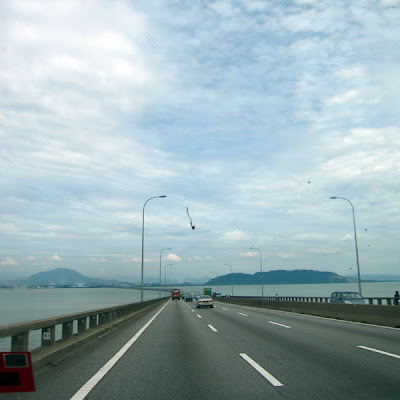 We succeed going to Georgetown after visiting Kek Lok Si Temple, but that time we used our rented van from Ocean Jupiter. And yes it was a beautiful place. We only take pictures from our van, somehow getting in one van with 6 children made us just want to stay at the van. Moms should know what it really means hehee However we still got nice pictures of Georgetown. 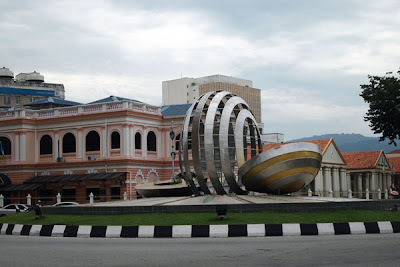 Another things we did was to visit the shopping malls...we went to The 1st Avenue, and Prangin Mall, both malls located near Komtar. 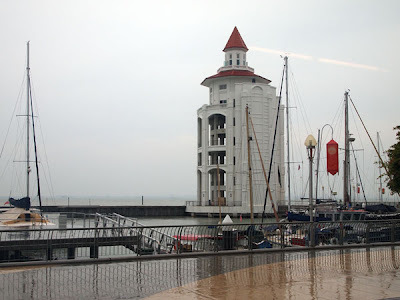 We also went to the Straits Quay. We might say that the most photogenic mall is the Straits Quay. 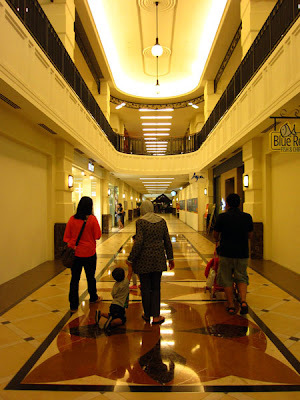 The minus point of this mall is that we can't shop here, it's more a resto and cafes mall. Prangin mall has a Vinnci and 1st Avenue has many outlets to shop. 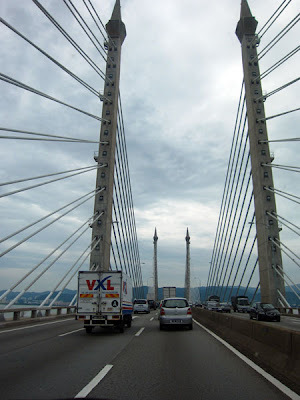 That's our Penang Sightseeing stories, we believe there are still more to see, we would love to come back.